From a young age, Demetri was a natural in the kitchen. One of his earliest memories growing up in a Greek household was baking a chocolate cake at age four while his mother tended to the garden. Now, several years later, this memory serves as a glimpse into what has since become a lifelong passion for cooking. He brings a unique perspective to the local farm-to-table cuisine by combining his experiences living in Rhodesia and Cyprus, as well as his 35 years in the restaurant business. His background began with Mediterranean food, and he has 3 full-service Greek restaurants in Southern California with strong 4 1⁄2 star ratings on Yelp. In addition, he has two licensing fast casual restaurants in the Long Beach Airport (just rated #1 best food program in an airport in the United States) and California State University, Long Beach. Demetri has since branched out into the farm-to-table movement, utilizing influences from all over the world. He uses only the freshest produce (much of it made from the family’s own farm and garden), meat from local vendors, and artisanal cheeses. He is dedicated to preparing tailor-made menus for even the most discernible palates. Chef Brooke would describe her cuisine as “simplistically elevating local ingredients,” stating that “The dishes I create highlight the bounties of the season and convey the labor of love generated from the farmers to the plate.” Her style has evolved over the past 13 years while cooking in Santa Barbara, the Santa Ynez Valley, Las Vegas, Morro Bay, Los Alamos, and now back to the Santa Ynez Valley. Chef Brooke grew up in a foodie family on California's Central Coast, with a large garden in her yard and raised hogs in the FFA. She's also no stranger to hunting or fishing. After graduating from high school with honors, she attended UCLA and soon heard the calling of her upbringing to study the culinary arts. Continuing on through culinary school in Santa Barbara, Chef Brooke became a private chef for families and was able to build confidence and establish a style of cooking for herself at the young age of 19. A true appreciation for the land was established at an early age for Chef Brooke and has had a great impact in her style of cooking. 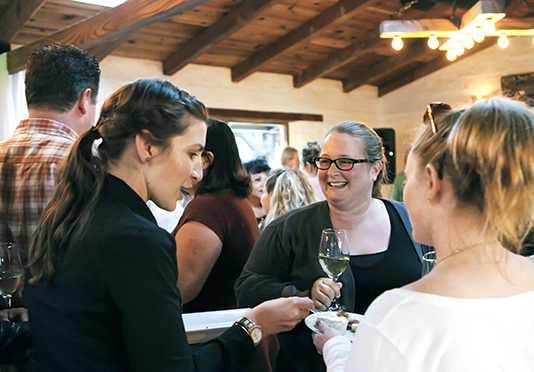 After working for celebrity chef Rick Moonen in Las Vegas, Chef Brooke was elated to return to the Central Coast feeding locals and tourists alike as the Executive Chef of the Inn at Morro Bay. 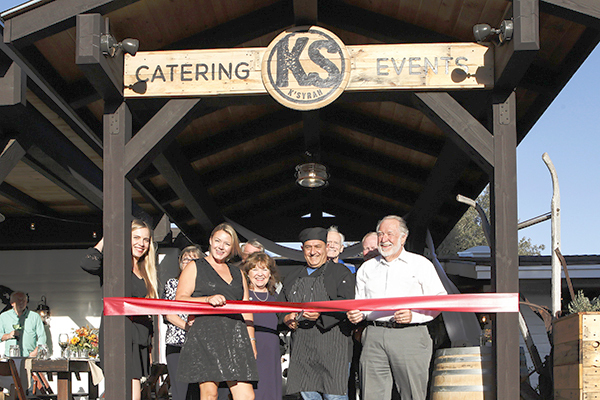 Now, after returning to the Santa Ynez Valley, Chef Brooke is the Executive Chef of K’Syrah Catering & Events, where she continues to share her passion for food and the stories that coincide with the ingredients she selects. Danielle knew, from an early age in her father's restaurant, that she shared her father's passion for taking care of people and giving them memorable experiences. With a natural knack for event planning she has always thrived working on events logistics and even the most minute details. Danielle began working with Chef Demetri, opening his second restaurant in Long Beach in 2005, and was quickly promoted to Banquet & Catering Manager for his LA County restaurants. Under his tutelage, he afforded her a unique opportunity to grow the department and to hone and perfect her event planning and execution skills. Danielle took a five-year hiatus from the restaurant industry to work as a corporate jet flight attendant, becoming Chief Flight Attendant, where she got very a different, yet extremely beneficial expertise in planning distinct menus, sourcing, preparing and serving the highest quality ingredients to some of the world's most VIP clients and giving them nothing short of a 5 star in-air experience. Shortly after Demetri shared his plans and vision for K'Syrah with Danielle, she knew that the timing was right to come back to her first passion and where she ultimately belongs.